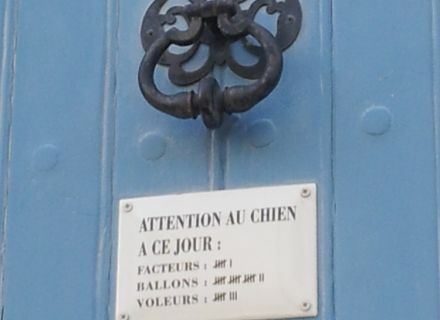 Home / Le blog / In La Garette, we stop there ! In La Garette, we stop there ! 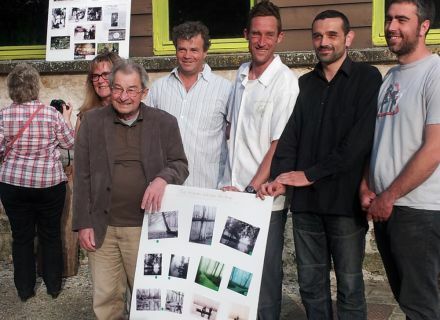 Beautiful initiative proposed by Gaétan Rageon, guides boatman in the landing stage Venise Verte Evasion, helped by Michel Toussaint and Viviane Mady. 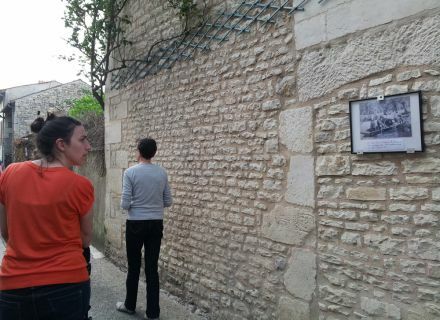 Open up and speak of village-street of La Garette through around thirty photos hung on walls and shutters of houses. This exhibition will be visible all summer long. Tourist friends and maraîchins, plunge into the history of this village-street, come to relive this former swamp where the boat was the real means of transportation and the working tool : it allowed to collect the milk, the transport of animals, trunks of wood, some fertilizer… Almost every house had an access to the water and everything passed in transit by Sèvre niortaise. La Garette at the beginning of the century was a real link between Saintonge and Gâtine, a real port. Also come to get acquainted with these families which contributed to make the swamp known. Let us evoke the Largeaud Bouyer family, which started the activity within the farm from 1925, on the side of the current Hotel. The children and the grandchildren took up the torch by moving the landing stage some hundred meters farther. 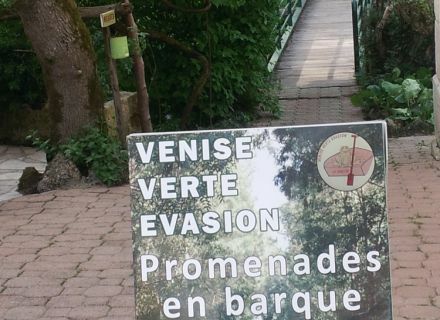 Admiral Célestin Cardinaud, mutilated by the first war, will contribute so widely to the promotion of the Marais poitevin also by creating a landing stage and an inn, at the end of the 30s. What could be more picturesque, even exotic, than a stroll in boat ? 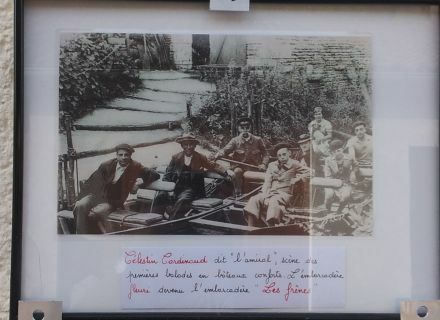 Look at this photo of landing stage, few things changed, it is always a landing stage (Venise Verte Evasion), and we re-know the footbridge. 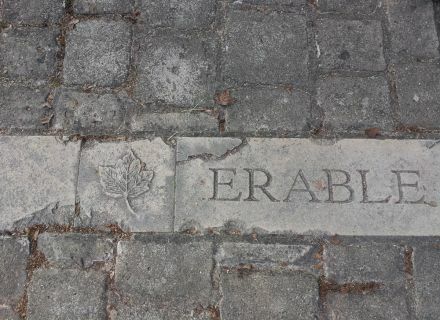 Also take advantage of your stroll, to admire the architecture of this street, its magnificent doors and its comments, its inscribed stones on the ground (in reference to the local vegetation), or sculptured. La Garette welcomed illustrious visitors ! Henri III de Navarre, future Henri IV, in stay in the castle of Mursay, near Echiré, passed in La Garette in 1576. It is thanks to him that the works of drying out begun in XIth century by the monks of five abbeys of Bas-Poitou were pursued. 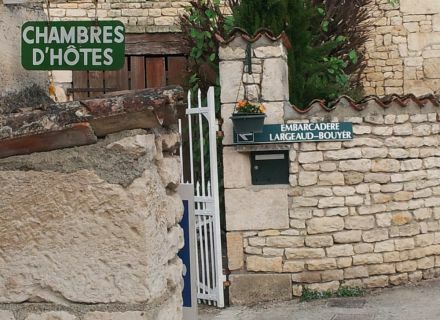 Since the Hotel with restaurant “La Vieille Auberge”, you will walk over the years, up to the port, to see the village of today and its activities, by listening to birds, which will greet your passage. Have a good visit in La Garette ! in Coulon Le Petit Train du Marais	Le Petit Train will discover a natural system in the Marais with a duration of 1 hour commentary. Another unique way to discover the site.